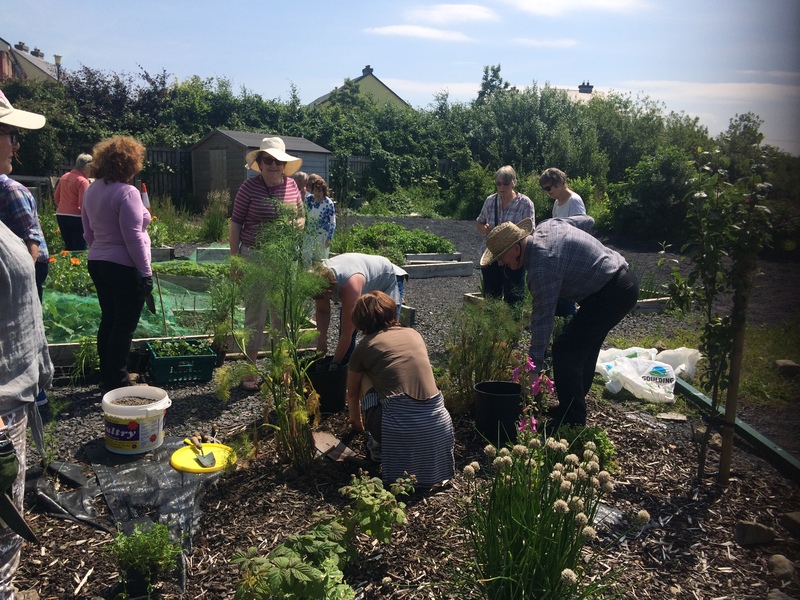 June 2017 – FOOD SECURITY Workshop: Another great turnout from the local community for our Edible Landscape Workshop at the Quay Centre yesterday. 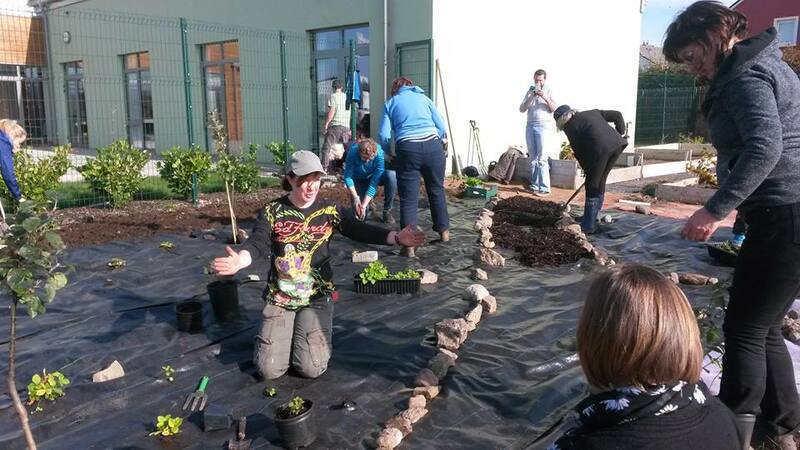 We added lavender, chives, fennel and many more plants to our Forest Garden which is now really taking shape. Have a peep in if you’re passing by! 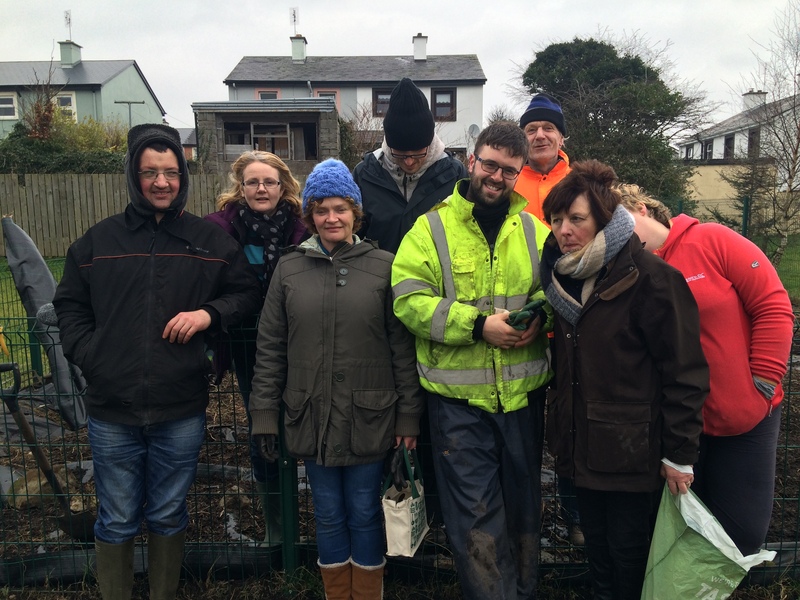 February 2017: Great preparations in our ELP orchard near the Quay Community Centre in Westport with Horticulture 6 Class friom the VEC. We’re preparing for our new arrivals from the next ELP Grafting workshop by laying out a nursery bed for the next set of grafts. Next we clear the weeds which are particularly bad around the perimeter fence and flatten out the soil -a tricky job when you’ve 3 -year old trees in the midst of it all! Later in the week the TUS and RSS guys will help us lay more mypex and spread the bark mulch. 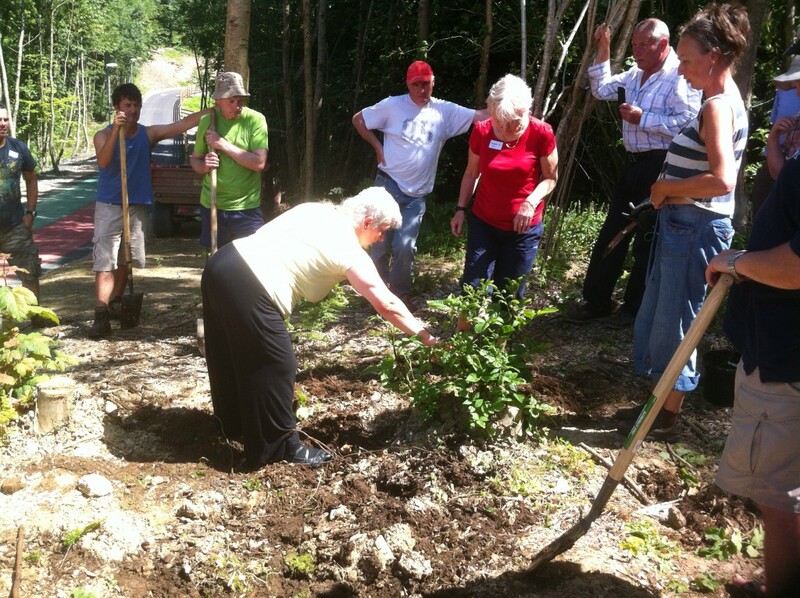 Oct 16th 2015: What can only be described as a fabulous group of volunteers turned out at our Forest Gardening workshop on this glorious sunshiney day! 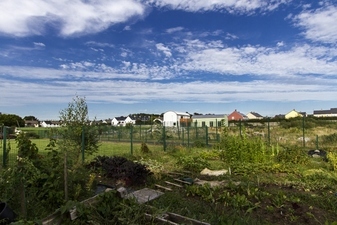 Workshop included on site preparation, planning and planting a Forest Garden on a site allocated to us by Mayo County Council at the Quay Community Centre in Westport. 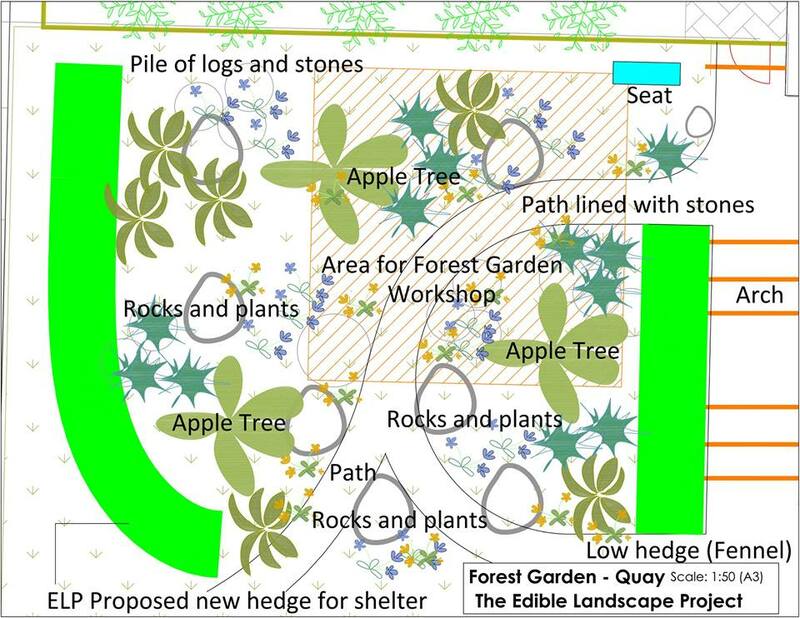 The garden will mimic a natural, temperate woodland, except we’ll be using mainly edible plants and we’ll be sourcing as many plants as we can from local nurseries. 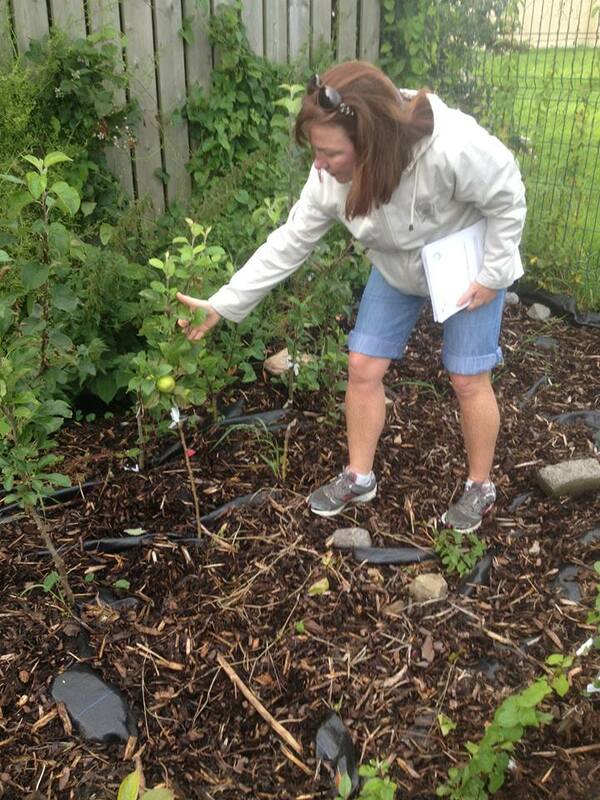 Aug 2015: Which fruit trees to choose?Paula clears apples from baby trees grafted from Westport House Orchard – they’re collapsing under the weight of a bumper harvest of cider apples! Forest Gardening Workshop July 2014: The 2-day workshop provided an introduction to Forest Gardening, a technique based on planting a mix of trees, shrubs and perennial plants. 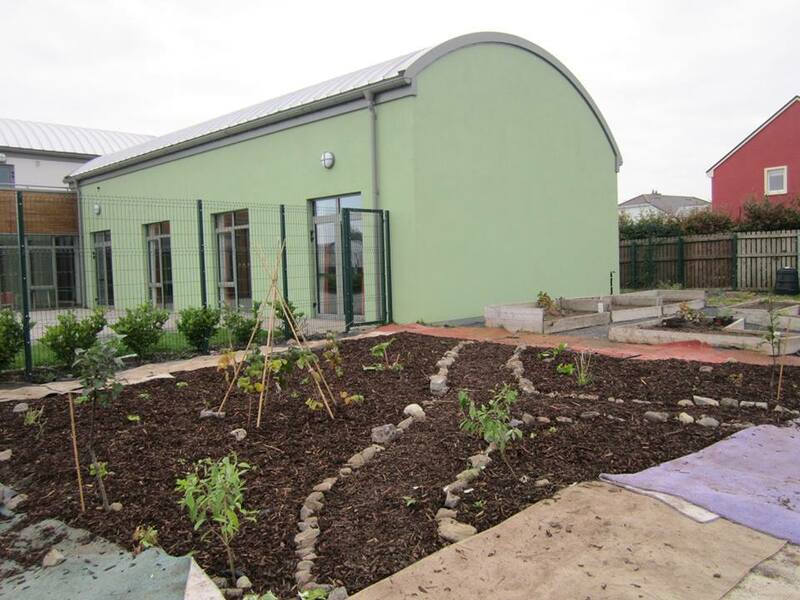 This is a low maintenance, permanent, resilient, stable, organic system of producing your food & other needs, within a fertility hub. 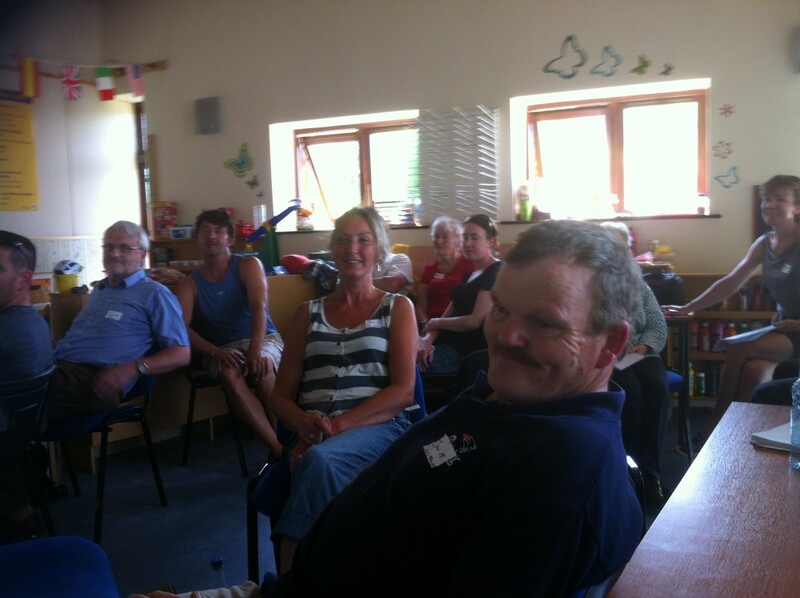 The workshop facilitator was Cleo de Vito, an experienced Forest Gardening teacher and group facilitator who has studied with Martin Crawford at the Agroforestry Research Trust in the UK. 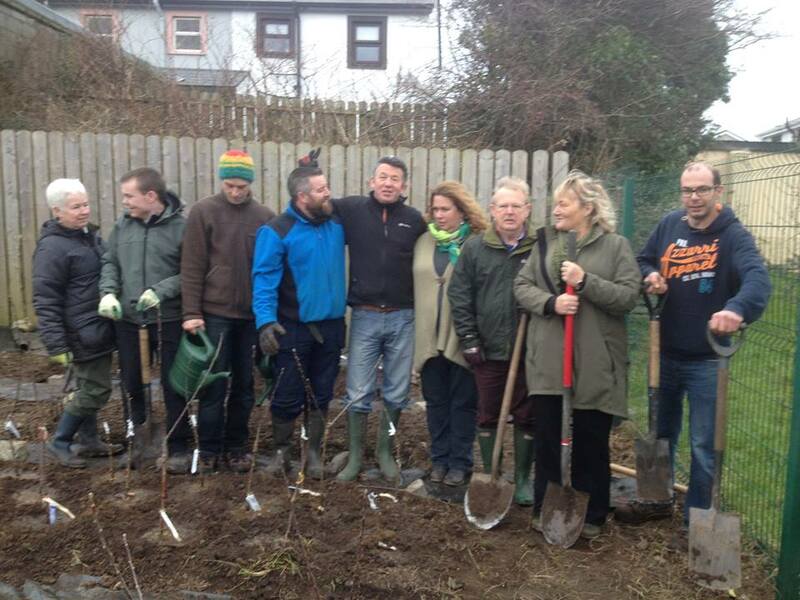 Funding for the workshop was kindly provided by Westport Town Council. In addition, we looked at some of the many annual & perennial plants suitable for food, fuel, fibre & much more. The workshop took place at Sharkey Hill in Westport and involved both classroom work and a smaller, outdoor section whee we planted on the Westport Town Greenway extension.